This is Cousin Cat, so named because he’s a cousin of Lytton the Kitten. We connect…. he’s the bravest, some might say cheekiest, of the neighbourhood strays. I took this half an hour ago. Oh man, who you callin’ a stray? I got my place, right here where I’m sitting. Cheeky? What are you saying…. I’m pushy? Listen dude, a cat’s gotta eat. Do I look scared of you man? No way. I aint movin’ from here, I cant see no dish in your hand neither. Still dude, no harm huh? Last night’s chicken was molto bene, you know what I’m saying? Your cooking’s definitely getting better. It’s nice huh? This sun, good for you, good for me. They wont let me up in the gardens, but I got my spot right here. We agree huh? Life aint so bad. By the way dude, what we havin’ for dinner? 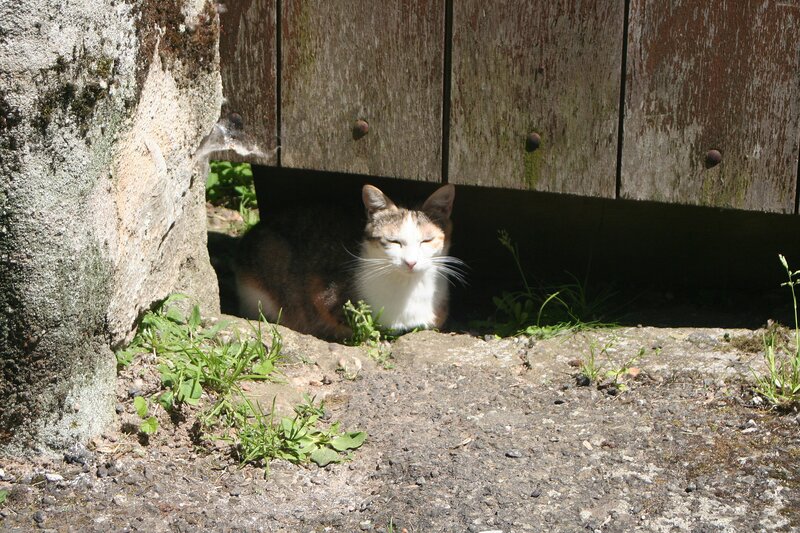 Categories: Photo Challenges, Photos, Street Cats | Tags: photography, street cats | Permalink.